Brooks County High School Seniors Nelleah Shellman, Breanna Tinney, Marquel Harrison, and Jennifer Jimenez have been awarded the Sullivan Scholarship. 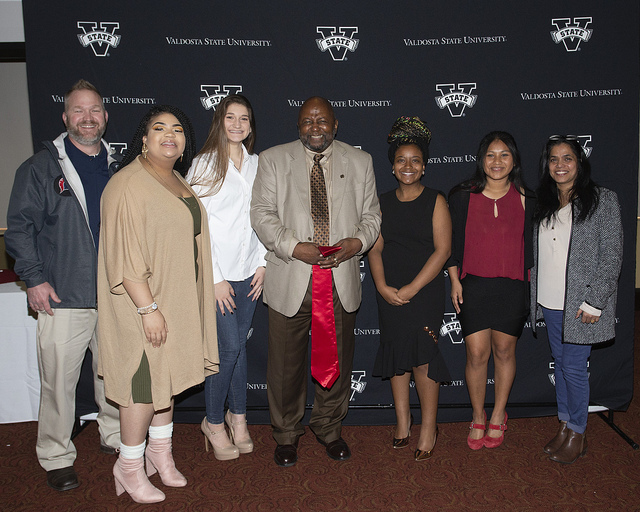 The scholarship recipients were recognized at the recent Sullivan Education Summit, a gathering at VSU that included high school parents, superintendents, principals, teachers, and counselors, as well as higher education administrators, faculty, and staff. The event assisted new Sullivan Scholars and their families in the coming transition to college and also explored strategies for bringing quality teachers to rural areas and ensuring all rural students succeed.